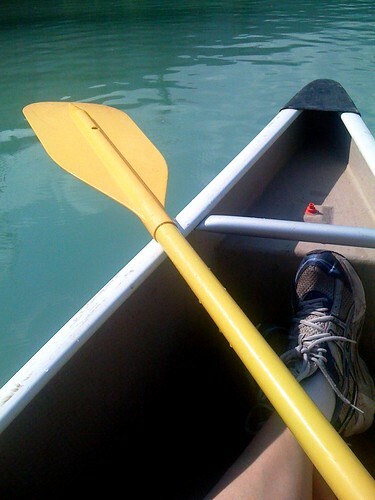 I generally have an unwritten rule that I don’t write about canoe or kayak drownings. There is so much better paddling related stuff to write about like that 99 year old grandmother who decided to learn how to kayak for her birthday. That being said, I recently found an article in the Columbus, Indiana newspaper, The Republic that was so heartbreaking and sad that I had to mention it. Last Saturday two men from Pinedale, Wyoming decided to paddle down the Green River in western Wyoming. 26-year old Matthew Copper and his step father, 48-year-old Franklin Parks loaded the three kids (aged eight, four and toddler) into their canoe and took off down the fast-moving river which also happened to be above the flood stage. Tragedy struck when the canoe tipped over in the moving water and the 4-year-old member of the family drowned. Luckily emergency crews were able to rescue the men, 8-year-old boy and the toddler as they were in the area due to getting a phone call just before by a bystander concerned that the adults and kids were launching in the flooded waters. The two men were charged by prosecutors with aggravated homicide by vehicle, criminally negligent homicide, operating a watercraft while intoxicated and reckless endangering. Cooper is also charged with child endangering by a parent. I hate reading these types of stories. I don’t know the full history or exactly what happened or even what the gentlemen’s paddling skill level was. Either way, it’s clear that their decision making and paddling skills were influenced by alcohol and it’s sad that a child had to pay with his life for the poor decisions the adults made. The adults who were supposed to keep him safe.